This is a guide on how to install the popular network scanner Nmap for Windows 7. 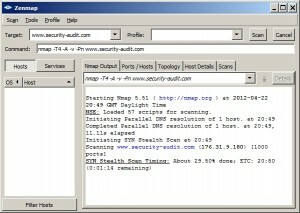 Nmap is a fully feature network scanner, that is one of the most popular free tools in the IT security sector. Although Nmap’s roots began in the Unix environment, in the last few years Nmap for Windows has been developed to allow its expansion into the Windows marketplace. 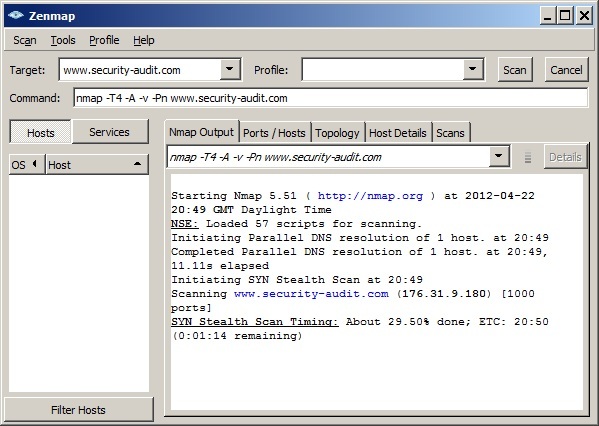 Nmap for Windows is powered by a cross-platform GUI known as Zenmap. When installing Nmap Zenmap gets automatically installed along with Winpcap (packet capture) software. As this guide is about using Nmap for Windows, and most Windows users are more comfortable using a GUI, the steps below outline how to install Nmap and launch the Zenmap GUI. 1) The installer is available on the Nmap for Windows download page. This is a self-extracting binary file, and there are two options available, STABLE or DEVELOPMENT. I would recommend the STABLE release. 2) Run the installation file and accept the terms and conditions. Leave all the default selections on the next screen to ensure Nmap for Windows gets installed with the necessary files. Note: If you receive error messages regarding Microsoft Visual C++ Redistributable Package (x86) being installed, you can press Ok and ignore these, as it most likely means you already have a version installed. If not you can grab the x86 and x64 editions (for 64bit versions of Windows) by doing a quick Google search for Microsoft Visual C++ Redistributable Package. 4) If you wish to use the command line version of nmap in windows you can now do so via the Windows command line. Simply go to start > run > cmd or put cmd in the search box, and bring up the command prompt. From there you can run Nmap on the command line in Windows.